It is easier than ever for brands to be built up or tarnished by social media, as a look at one major pharmaceutical company’s social feeds demonstrates. 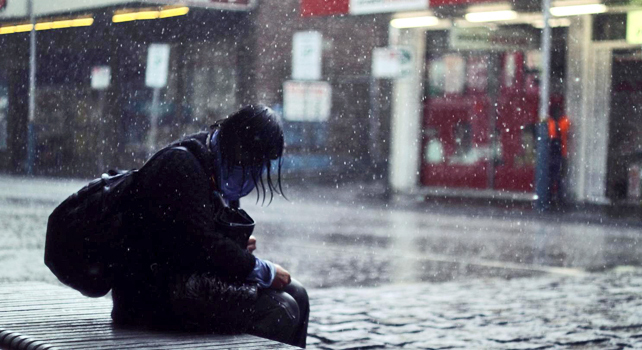 It is easier than ever for brands to be built up or tarnished by social media. To demonstrate this quickly, I picked a brand at random and used Twitter’s new search tools to find out what people were saying about it. Because I know that pharmaceutical companies are generally behind in their use of social media tools, I chose Pfizer. Without expecting to, I opened a can of worms. 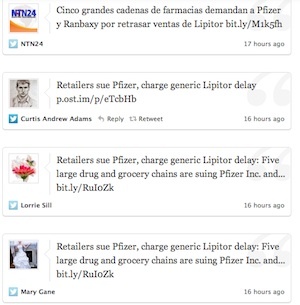 Sure enough: using Twitter alone, I found a trend among Pfizer tweets: a reference to a lawsuit major retailers had filed against the pharma giant for delaying the release of generic Lipitor. I found references to this story in English, Spanish, and Arabic–about 45 tweets in a quick scan. The same links were retweeted multiple times. I went to Google News and found the news story that occasioned the tweets: a widespread pickup of the lawsuit announcement, probably sent out by the people who were suing. Twenty-four hours later, I went back to Twitter and did some further research. I found more tweets on the same subject, along with other random negative tweets about experiments on children in Nigeria. I then went to YouTube and found a video about the closing of a Pfizer plant in the UK a year ago called “50 Ways of Leaving Pfizer,” the gist of which was the loss of 2400 jobs, the outsourcing of R&D, and the anger at the way the company treats its employees. 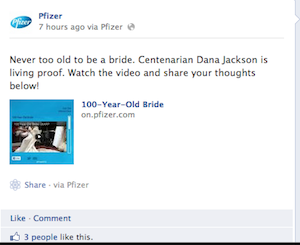 I also went to Facebook, where I found some trivial posts on the brand’s Facebook page: “Never too old to be a bride…” about a centenarian, and “The Bond Between Science and Duct Tape.” The Pfizer Facebook page has over 56,000 Likes, although only 753 people are talking about the brand. The Facebook page is not used to present “real” information, just trivia. What a waste of effort. Remarkably, there was nothing in the last 24 hours from Pfizer itself on either Twitter or Facebook that acknowledges the suit, even to say the company can’t speak about it. 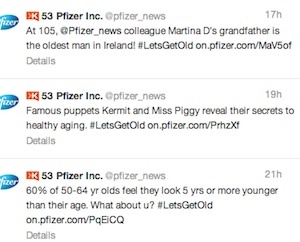 Pfizer’s own tweets are as trivial as its Facebook posts. Why bother? It’s a textbook example of how, over a short period of time, a brand can be damaged by social media. That should have been done within the first hour after the news was released or the first tweet was seen. It’s unlikely Pfizer was unaware of the suit beforehand, and all this could have even been done in advance. 56,000 people could have become allies, if the Facebook page had been used correctly. Another 29,000 Twitter followers could have been converted. There doesn’t appear to be any brand engagement on Pfizer’s social media pages, and that’s because they don’t address real issues in a timely fashion. Social media programs like these are sorely in need of overhauls, lest they continue to have what is likely negative ROI, and further erode their brands.